Only 10” penalty for De Vries? Chiesa Corse appeal to the disqualification by the CIK-FIA against Nyck De Vries - guilty of having bumped on Camponeschi (as a result of which the latter was forced to retire) during the second final at the third round of the World KF1 Championship in Genk - seems to have been accepted and converted into a 10”penalty. Were this the case, the Flying Dutchman, instead of being left with a “DQ” - disqualified for unsportsmanlike behaviour - and then forced to drop 13 points from the same weekend as worst result, would grab 8 points (since demoted from first to eighth, hence being allowed to drop it) and could use the 13 points that he would left behind had he lost the appeal. Summing up now, De Vries would benefit from an advantage of 18 points on Albbon and 38 on Camponeschi (penalized in Genk of at least 20 points, those he would have earned had he not been hit by De Vries). An epilogue that would leave some doubts on how the CIK-FIA Council managed this irregularity. All there is to do now is to wait for the official statement by the CIK-FIA to understand what the ranking will look like getting to Suzuka, in what will be the final and decisive round of this turbulent World Karting Championship edition. 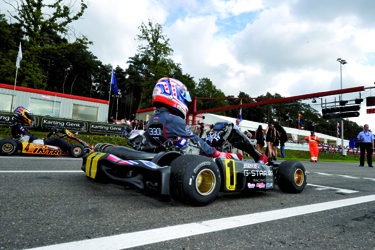 We can only hope that as early as next edition the changes previously announced (and desperately needed) will be implemented, so that the top event of international karting will recover the credit it deserves. But everything will depend only on CIK actions.